Amino Acid - IgG Therapy™ is a superior source of complete, biologically active, immune-supportive proteins from non-denatured, premium whey. * It's easy to mix and tastes great. Non-denatured preserves the natural proteins and immunoglobulins: Traditionally, whey is formed from the liquids that separate from milk solids in the cheese-making process. Often the process involves high temperatures and acidic conditions that may denature the nutrients. 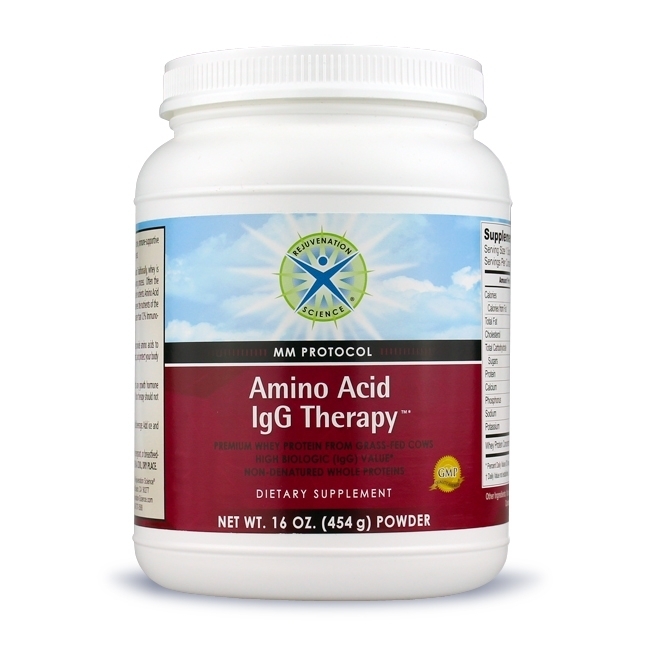 Amino Acid-IgG Therapy, however, is made from a unique, proprietary process that preserves the nutrients of the whey. Each 11 grams provides 8 grams of protein and typically contains greater than 12% Immunoglobulin G (IgG).